Looking for more than just the comforts of home? Our luxury vacation home rentals offer extra amenities not found in your typical rental. Upscale furnishings and luxury touches such as a private swimming pool, dock, multiple acres, high-end kitchens or amazing outdoor spaces are found in many of our luxury rental homes on Marylands Eastern Shore. 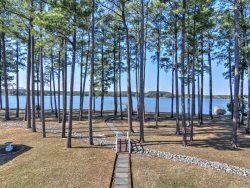 Feel free to browse these fantastic properties and make your vacation to the Eastern Shore one to remember!